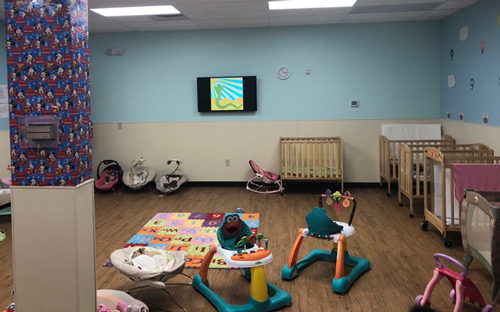 By 2017, the Watch Us Grow Childcare Learning Center had been serving the child care and education needs of families in Allentown, Pennsylvania, for only a few years. The center was, however, already experiencing growing pains, with a long waiting list of families who wanted to take advantage of its services. When the tenant next door vacated, the building’s landlord offered the center a new 10-year lease that would more than double its existing space. Watch Us Grow sought financing for the expansion from FHLBank Pittsburgh member Community First Fund, which offers entrepreneurs access to financing and technical assistance for projects that help to revitalize communities. In addition to arranging a government-guaranteed loan to the center, Community First Fund sought assistance from FHLBank’s Banking On Business (BOB) product. BOB was able to provide $35,000 in secondary financing to make the deal work. "Financing this day care expansion right in the heart of Allentown is a perfect example of how collaboration in our communities creates jobs, child care opportunities and prosperity for owners and stakeholders," said John Scott, Vice President of Community First Fund. "Our loan to Watch Us Grow wouldn't have been possible without BOB." With construction now completed, Watch Us Grow will soon employ up to 50 local workers and provide services to more than 500 children. Services include full-time day care, after-school programs and tutoring, and drop-in care. The center offers a curriculum that includes arts and crafts, dance and gymnastics. The fact that the center is open around the clock makes it especially appealing to parents who work third shifts or swing shifts. "Our child care center fills a vital need in the community," said Jerresky Martinez, Watch Us Grow's CEO. "We're fortunate to be able to use Community First Fund and FHLBank Pittsburgh financing to expand our facilities and serve more families, challenging the minds of children today so they become leaders tomorrow."